After terror attacks in Paris left 17 dead, the Secure Community Network calls on US Jewish organizations to report threats and attacks. In the wake of deadly Paris terror attacks which left 17 dead, the Secure Community Network has urged Jewish institutions to report any threats, vandalism, or attacks. SCN is the official homeland security initiative funded by the Jewish Federations of North America and the Conference of Presidents of Major Jewish Organizations. The security arm sent a memo on January 18 informing institutions that any information it gathers could help national law enforcement agencies determine trends or threats. Organizations are asked to first notify local law enforcement of any incidents or dangers and then the SCN. “This will allow SCN to better identify and assess incidents and trends and share that information back out to our security director and law enforcement network to keep you all better informed of other incidents across the country and assist you in security planning and decision making,” the memo said. The memo also requested that Jewish institutions and organizations instruct all staff and volunteers to review SCN's online training guide on how to face attackers. Increased security of Jewish houses of worship and schools across Europe were also mentioned in the memo. “While we are not aware of any credible, specific threats against Jewish organizations in the US at this time, in light of the recent attacks in Paris and other counter-terrorism actions against suspected terrorist plots across Europe, it is imperative that we continue our vigilance, security efforts and increased information sharing to stay ahead of this continuously evolving threat,” SCN said. In a separate memo distributed by the SCN, at the request of the French Jewish community, the group refuted reports that the Great Synagogue of Paris was closed on the Sabbath immediately following the attack on a kosher supermarket. 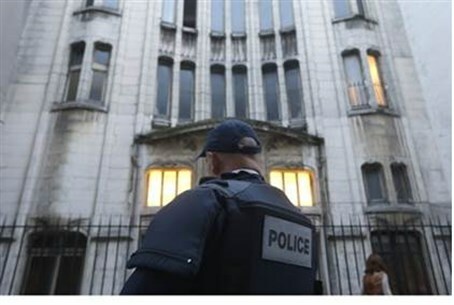 “Our French communal partners advised us that the Grand Synagogue was in fact open with enhanced security measures in place and that the synagogue received more members on that day then in recent memory,” SCN wrote on behalf of the French Jewish community.